Vaibhav is an economist who leads The Council's work on Low-Carbon Pathways. 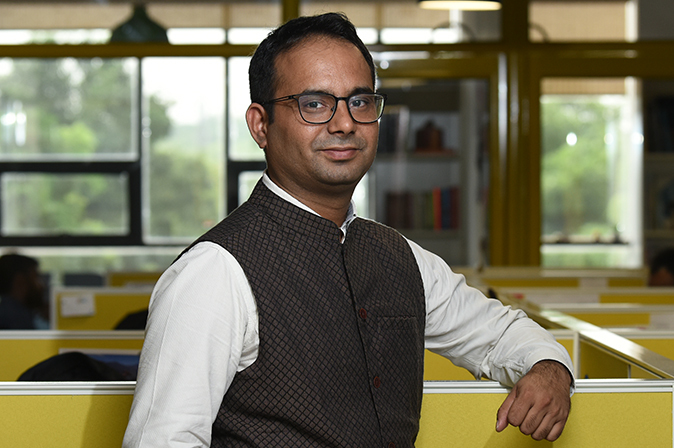 His research focuses on energy and climate change mitigation policy issues, especially those impacting India, within the integrated assessment modelling framework of the Global Change Assessment Model (GCAM). Vaibhav’s recent work includes studies on pathways and policies for achieving India’s Nationally Determined Contributions (NDCs) and Mid-Century Strategies within the context of sustainable development and national priorities, the climate policy–energy–water nexus, transportation energy and emission scenarios, HFC emission scenarios and mitigation policy, and nuclear energy scenarios for India. Prior to joining the Council, he was a Postdoctoral Research Associate at the Joint Global Change Research Institute/ Pacific Northwest National Laboratory, USA. He has been actively involved in global model comparison exercises like the Asian Modelling Exercise (AME) and the Energy Modelling Forum (EMF). Vaibhav has been a part of Government of India committees on energy and climate policy. He actively publishes in, and reviews articles for, leading international energy and climate policy journals. He holds a Doctorate in Economics from the Indian Institute of Management, Ahmedabad, and a Master’s degree in Forest Management from the Indian Institute of Forest Management, Bhopal. The importance of analytical frameworks for research, be they quantitative or qualitative, cannot be emphasised enough. At The Council, we try to weave our research around structured analytical frameworks, to make better sense of the complex realities around us. Vaibhav may not have all the answers to your questions, but he will always tell you if you are asking the right question and what the policy angle could be. For this, we are all indebted to him.